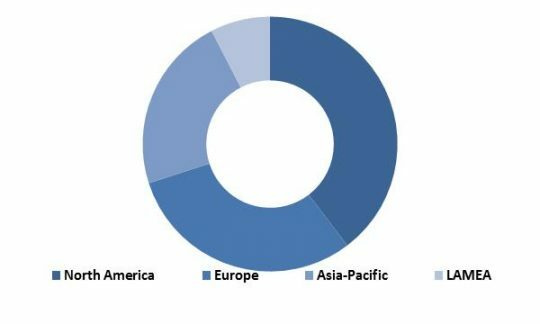 According to a new report Global Automotive Telematics Market (2018-2024), the global automotive telematics market is expected to attain a market size of $152.7 billion by 2024, growing at a CAGR of 23% during the forecast period. Advent of smart phones has changed the definition of connectivity. People now expect to stay connected to internet 24*7. Automobile manufacturers strongly believe that providing connectivity solutions in their vehicles will boost their automobile sales. Automotive industry is going through a phase of digital revolution. In the next few years to come, automobiles will transform into communication devices. New hi-tech devices, smart phones, high-speed internet, numerous applications & open sources such as android systems have transformed the concept of connected vehicles. The major factors driving the global automotive telematics market are safety and security concerns, 24*7 connectivity, superior driving features, online vehicle diagnostics & maintenance alerts, advanced connectivity solutions and others. On the other hand, some of the restraints associated with telematics market are the additional expenses borne by the consumer for availing the telematics services, threat of hackers breaching the security and accessing data or causing nuisance to the vehicle system, non-availability of uninterrupted & seamless connectivity and lack of awareness among consumers in certain regions. Telematics is used for both commercial as well as passenger vehicles. In order to analyze the market in detail, it has been studied with respect to commercial (light, medium and heavy commercial vehicle), referred to as commercial telematics and passenger vehicle, referred to as Consumer telematics. For all the segments in the report, we have analyzed both the commercial and consumer telematics. 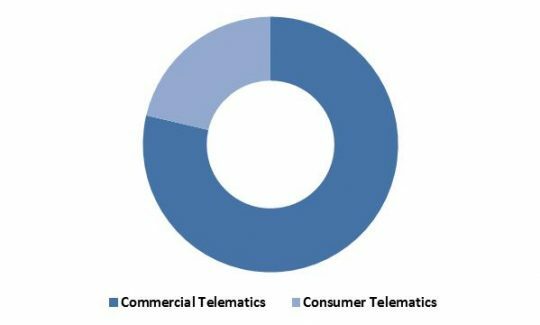 In 2017, Commercial Telematics segment dominated the Global Telematics Market By Type with market revenue of $28,427.9 Million. This segment would grow with a CAGR of 18.2% during the forecast period (2018-2024). 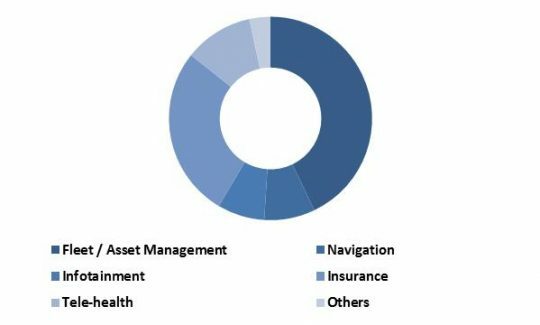 Based on applications for commercial telematics segment, the market is segmented into Fleet Management, Insurance, Infotainment, Navigation, V2v & V2i, Tele health and Remote alarm & monitoring. Fleet management was the highest revenue-generating segment in 2017. In terms of End user, Telematics market is segmented into various types such as Logistics & Transportation, Individuals and car rental, Insurance, Healthcare, Media & Entertainment, Automobile manufacturers & dealers and Government agencies. Logistics & Transportation was the largest revenue-generating segment in the overall Telematics market by End user, and would continue to be the maximum revenue generating segment throughout the forecast period, 2018- 2024. In 2017, Insurance segment dominated the Global Consumer Telematics Market By End User, and would garner market revenue of $10,804.6 Million by 2024. However, Government Agencies would exhibit maximum CAGR of 32.2% during the forecast period (2018-2024). Based on geography, the market is segmented into North America, Europe, Asia-Pacific (APAC), Latin America, and Middle East & Africa (LAMEA). For both, commercial as well as consumer telematics, North America was the highest revenue-generating segment in 2015. The report has exhaustive quantitative insights providing a clear picture of the market potential in various segments across the globe with country wise analysis in each discussed region. 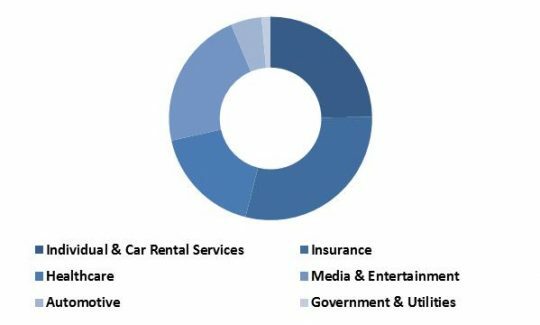 The key influencing factors of the global Automotive Telematics market have been discussed in the report along with the elaborated company profiles namely Verizon Communications Inc., AT&T Inc., Ford Motor Company, BMW AG Robert Bosch GmbH, Valeo S.A, Harman International Industries, Incorporated, Vodafone Group Plc and TELEF NICA, S.A.